The ASPCA Brings Adoptable Pets Directly to the California Legislature for Paws for Celebration! Advocates from across California met at the State Capitol in Sacramento on Tuesday to rally for stronger animal-welfare laws at the ASPCA’s second annual Paws for Celebration event—and got to meet some very cute, adoptable pets while they were at it! 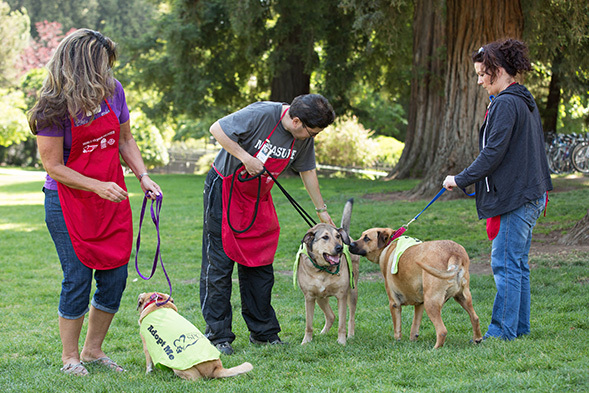 Paws for Celebration brings the great work that shelters and rescues do for their communities to the lawn of the Capitol and shows policymakers how critical sheltering services are in California. The event featured an adoption fair with cats and dogs from nearly 20 local California shelters and rescue organizations. Palomacy Dove Rescue was also on-site with rescued birds, and even a rabbit named Donkey made an appearance. 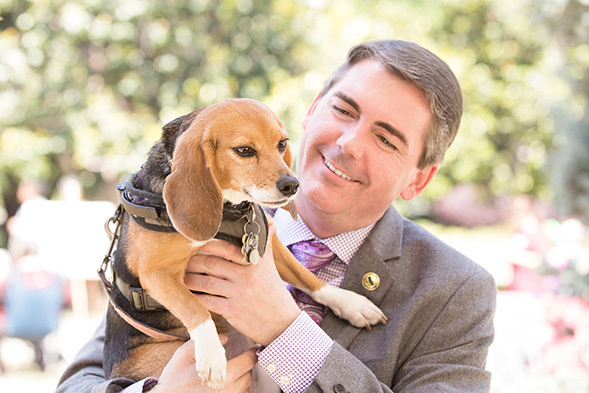 When event-goers weren’t busy cuddling adoptable pets, they got down to serious legislative business at meetings with Legislators and their staff to urge the passage of strong animal-protection legislation, including Assembly Bills 316 and 317. If passed, these two important ASPCA-sponsored bills would enhance California law enforcement’s ability to investigate animal cruelty cases and increase emergency responders’ capacity to care for animals during natural disasters. Attendees were even treated to a visit by ASPCA Celebrity Ambassador Katherine Schwarzenegger to show her support for the work local shelters do and to advocate for the passage of A.B. 316 and A.B. 317. With nearly 100 attendees, Paws for Celebration quadrupled in size since last year’s event, sending a strong message to legislators that animal welfare is becoming increasingly important to Californians—and lawmakers agreed that stronger legislation is necessary. Also in attendance were Assembly Members Matt Dababneh, Marc Steinorth, William Brough, David Hadley, Patrick O'Donnell and Matthew Harper, all of whom are working on important animal welfare legislation this session that ranges from helping dogs and cats used in tax-payer funded research to strengthening penalties for acts of cruelty towards animals in sanctuaries and shelters to providing tax incentives for animal adoptions. We want to thank the advocates who were able to join us for this exciting event and all of our supporters in California and across the nation for continuing to stand by our side as we fight to protect animals. Don’t miss your state’s next lobby day or adoption event! Sign up to receive ASPCA Advocacy Alerts to stay up-to-date on fun and informative events near you.